Below is a list of the 2018 Research Cooperators. We are very thankful to have so many returning Cooperators this year and excited to have new Cooperators as well! For any questions regarding research data please contact the Cooperator. SPECIAL SEASONAL NOTES: Hail event on June 6th included baseball sized hail, 3.19 inches of rainfall and 60 mph wind gusts resulting in significant injury to emerged crops, washing out of recently planted crop rows not yet emerged, loss of plant stand and head snap in our wheat crop. Weather, daytime temperatures and other factors affect data results, as in any year. 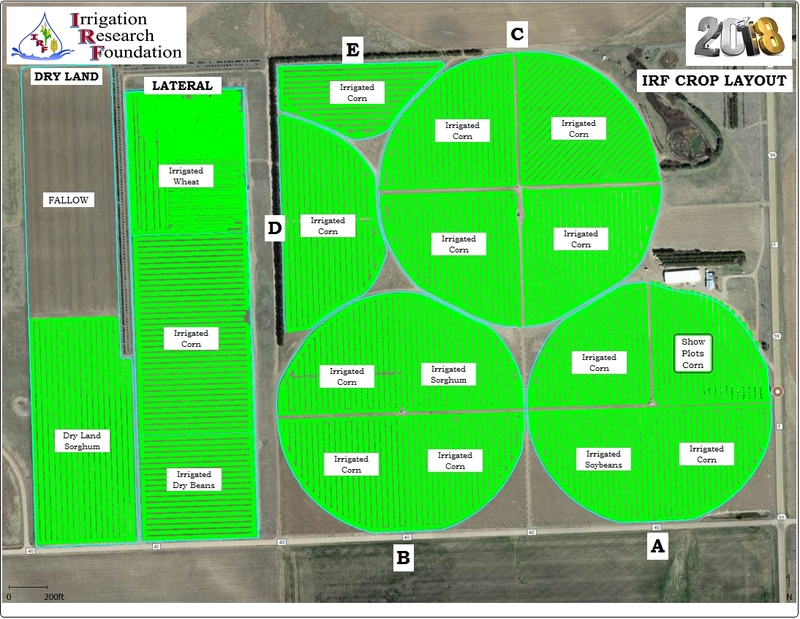 The Irrigation Research Foundation strives to record and control these factors where possible. Not all of these factors are measurable or recognized.